•Detects malware automatically, before it can infect. •Shields vulnerable systems and software from exploit attacks. •Stops ransomware attacks before your data is held hostage. •Prevents access to and from known malicious webpages. 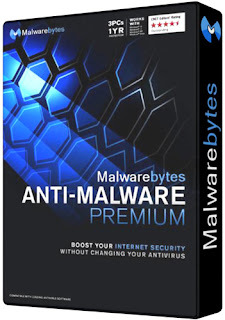 •Detects and removes malware and advanced threats. •Removes rootkits and repairs the files they damage. •Detects and removes malware in real-time with advanced anti-malware, anti-spyware,and anti-rootkit technology. Scans for the newest and most dangerous threats automatically, so you’re protected without having to even think about it. •Stops unknown and known ransomware with proprietary next-gen technology that works proactively to shield your files. This is a powerful, comprehensive defense that blocksransomware, and not a simple decryption tool. So you’re protected from tomorrow’s “Ransomware Attack!” headlines today. •Wraps your browser and software programs in four layers of defense, stopping attacks that use vulnerabilities in those programs to infect your computer. •Detects and prevents contact with fake websites and malicious links. You are proactively protected from downloading malware, hacking attempts, and infected advertising. Worried about wandering into a “bad” Internet neighborhood? Now you don’t have to be. •Lightning-fast Hyper Scan mode targets only the threats that are currently active. Faster analysis. Still gets results. Run a scan in the background while you boot up your favorite game. It’s done by the time you’re ready to play.